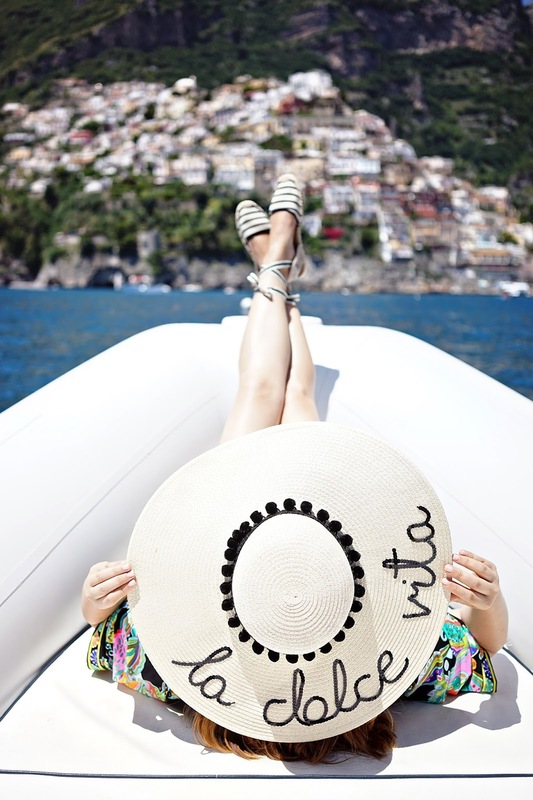 The little cliff-side town of Positano really is "la dolce vita," (a.k.a. the sweet life). 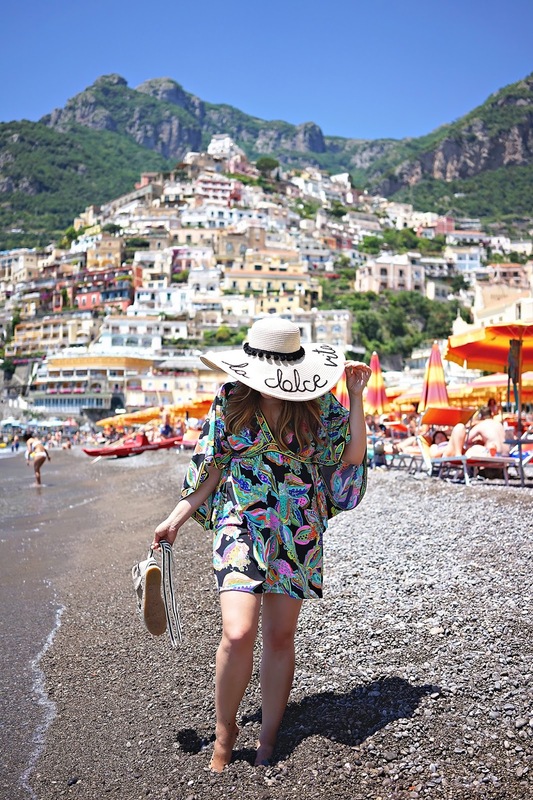 Positano is definitely one of my favorite places in the world, and even though I have visited every summer for the past 6 years, it never ceases to impress with its beauty and charm. Positano is my happy place. 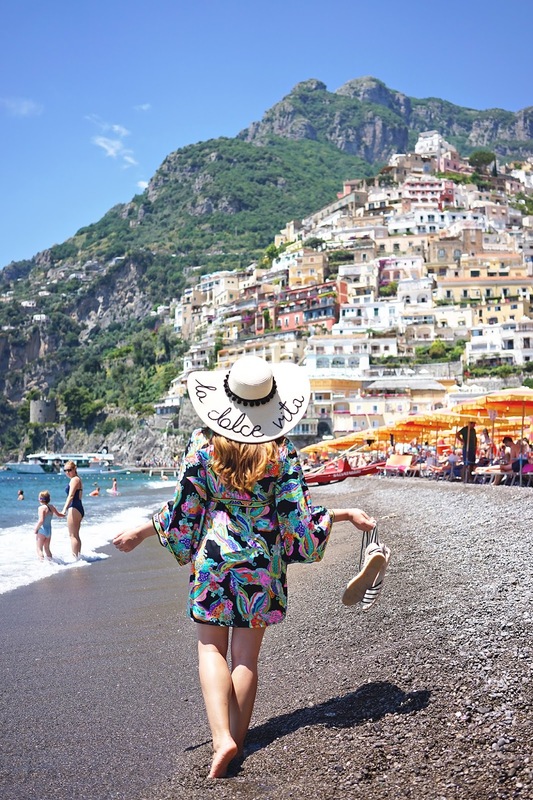 It has everything I love -- stunning views, delicious food, picturesque streets to explore, and tons of local Italian charm (also gorgeous custom sandal shopping). I purchased this amazing Trina Turk coverup before I left for Italy. I love a great coverup that doubles as a dress for a day of seaside relaxing. 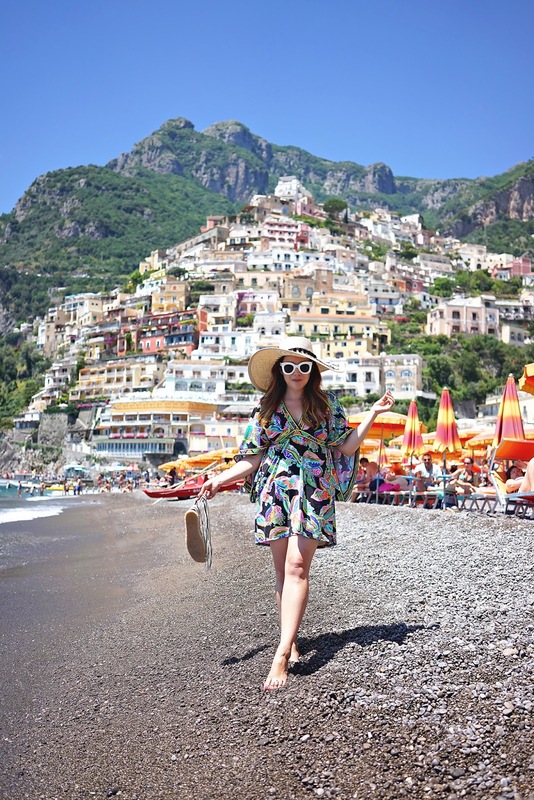 It means that you can easily transition from beach to lunching to strolling (I have noticed over the years that Italians, unlike Floridians don't really walk around in swimwear when not on the beach). The dress/coverup is a lightweight swimsuit spandex so it's super comfortable and functional. In my opinion, Trina Turk makes the best coverups. The hat, however, is probably my favorite part of this look. Olivia, from Hats by Olivia, created it especially for me. 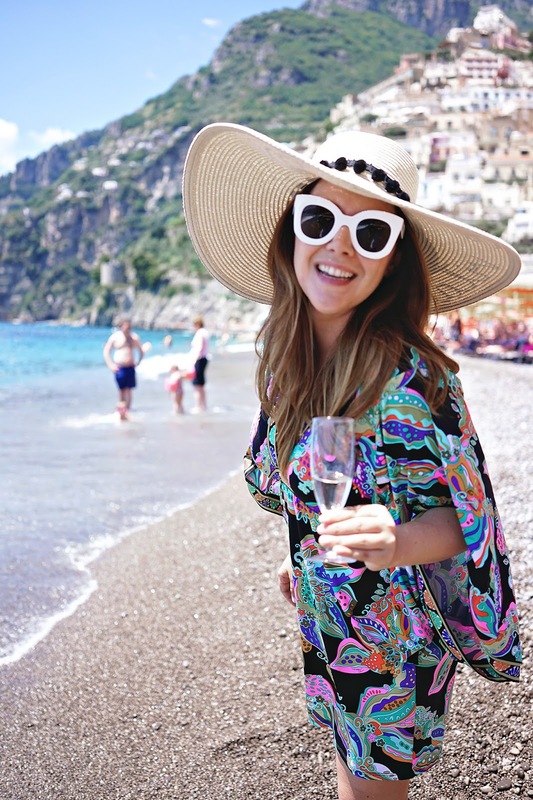 It was perfect for the Amalfi Coast and so many locals complimented me on it.